I mentioned before that if anyone was interested in writing a guest post for periods when I’m too busy to regularly post to send me an email. This is one of those times, so here’s The Sports Design Blog’s first guest post, written by reader Alex Kerr. If you’re interested in writing a guest post about whatever sports design topic is on your mind, send me an email at steven@thesportsdesignblog.com. 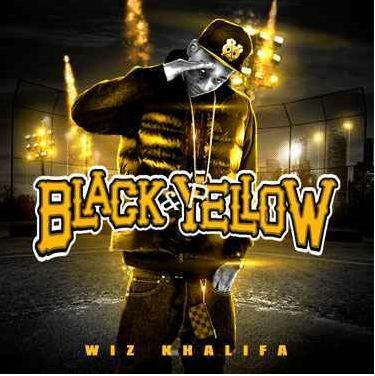 Rapper Wiz Khalifa wrote last year’s #1 hit “Black and Yellow” about, most people believe, Pittsburgh sports teams. This is a fair assumption given that the official colors of all Pittsburgh’s major pro teams – the Pirates, Penguins and Steelers – are black and yellow. But if you bothered to listen to the lyrics, which I think only Wiz and I have ever done, you’d notice that he never actually mentions an athlete or a team by name. The song isn’t about the players. It’s about, as he puts it, “Reppin my town.” The colors of Pittsburgh’s sports logos have become synonymous with the people of Pittsburgh itself. If you’re not from Pittsburgh, I can’t blame you for thinking this has nothing to do with you. But it does. Until 2009, Pittsburgh was the only US city whose major pro teams all had a mutual palette, so you couldn’t really call the phenomenon a “trend”. 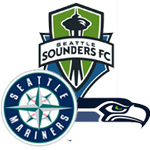 Then, once the Sonics and Storm left, and the Sounders went pro, Seattle became the official city of blue and green. (The other two blue/green teams are the Seahawks and Mariners). While the concept of American cities developing unique color-identities is great for design nerds like me, the real benefactors are the most disregarded group in professional sports: the fans. If LeBron James’s spectacular breakup with Cleveland taught me anything, it’s that sports fans can only depend upon each other. Athletes will leave you for titles, money or jail, and owners will take the whole damn team from you. I can relate. As a lifetime 49ers fan, I wear my jerseys with pride. Yet every time the team owners threaten to leave their thousands of decades-loyal fans for not having the tax-dollars to cough up a new stadium, I am reminded that the iconic SF oval is really just their corporate identity. It doesn’t belong to the fans at all, even if we tattoo it on ourselves or paint it onto the hood of our cars. If/when the Niners move away, the whole concept of “red and gold” will be taken from San Francisco. But Pittsburgh and Seattle don’t have that problem. Their colors are more significant than any one team. If the Pirates moved out, for some reason, it’s the Pirates that would have to find a new color scheme, not Pittsburgh. To wear blue and green in Seattle or black and yellow in Pittsburgh is not to support one team or another, it is to support the city itself. Really, it is to support the fans. City-wide color identities are the one thing fans like us can really claim as our own in the world of professional sports. With this in mind, I hope more cities encourage their teams to adopt uniform color identities. But which cities should go next? I’m glad you asked. First, I should note that this idea can’t be applied just anywhere. Most major cities have a team or two with a logo too classic to be tampered with, like the New York Yankees, LA Lakers or Chicago Bears. The cities who really stand to benefit are small-market towns who haven’t established an international brand like the cities mentioned above. There are several out there who are already close to having city-wide color identities. 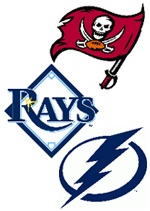 Tampa has the blue/white Lightning and Rays, but are bogged down by the clip-arty logo of the Buccaneers. The Bucs have a history of needing redesigns, and since their current logo is over fourteen years old, now seems as good a time as any to redesign and make Tampa the official city of blue and white. The Rapids, Avalanche and Rockies of Colorado (I’m not including Denver-specific teams here) are all in or around burgundy and blue. If the Rockies did a little design tweak, they could make it official. Houston is practically the city of red and black. Altering the Texans logo (which is technically red and absurdly-dark blue) could help that along. The Dynamo are so damn close that they should just give in and switch from orange to red. Dallas has a silver and blue thing going, kind of. 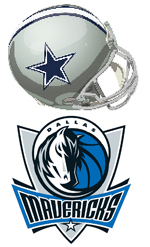 Luckily the two major pro teams that aren’t in line could benefit from redesigns. Dallas FC’s identity has too many things in common with that of the neighboring Texans. Additionally, I can’t even hear the name “Dallas Stars” without thinking of the Cowboys, so they should change their name and colors. San Diego (Padres and Chargers) and Vancouver (Canucks and Whitecaps), it should be noted, have two teams with virtually identical color palates. But neither city has another major-franchise team with which to continue this trend. 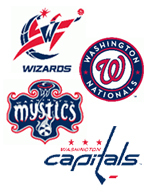 The Capitals, Wizards, Mystics and Nationals of D.C. are naturally red, white and blue(1). The Redskins, who have the second most racist team identity in professional sports, don’t follow the trend. Unfortunately, if they tried to re-design, Congress would probably decide they had nothing better to do than to get involved and ruin it. So instead I’ll turn my plea to the city with the most racist logo in sports. Dear Cleveland: First, let me congratulate you on having a decent ball club again. You deserve it. I have to agree, however, with the National Congress of American Indians when they argue that your name and logo are only tolerated because Americans have become numb to racist depictions of Natives, which they articulate very succinctly right…here. So let’s say you re-name. Name your team anything; it couldn’t really get worse than it is. Now, let’s discuss the Cavs. First, let me congratulate you on getting two incredible draft picks and embarking on what could be a rebirth in the Cavs franchise. Don’t you think it’s time to change your colors from the ones that still conjure images of LeBron? Me too. So now is the time to align your team colors with your football team(2) to make Cleveland the official city of orange and brown. Is that a disturbing combo? Yes. But you guys have never really been about aesthetics anyways, let’s be real. This may all seem like a logo-junkies pipe dream, but the idea of representing small populations with just two or three colors is far from new. Nations, tribes, kingdoms and even street gangs wear unifying colors. In this new era of lockouts and “The Decision”, I think sports fans could use some similar solidarity. (1)Additionally, United aren’t too fall off, but I hear their fan base is known as “The Red and Black” so they may be stubborn about any changes. You know those soccer fans. I wish more cities did this, and it’s great for smaller market cities like you mentioned. With the Atlanta Hawks’ change to navy and red, Atlanta was close with the Braves, Hawks, and somewhat with the Thrashers. 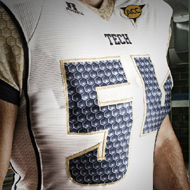 Now they’re gone and the Falcons are halfway there, but they won’t be swapping black for navy any time soon. I’m designing a sports game, so I needed to find out what colors a particular city “owns”. Glad this subject came up. Doing the initial research, I kept championships and championship appearances in mind, as well as any general fan allegiances I could pick up, college or pro, since the southeast is very heavily invested in college football and basketball (like the entire states of Alabama and North Carolina, for example). I always thought New York was a Big Blue-Big Apple Red (red-orange really, a shout out to the Knicks and Islanders while keeping the Yankees’ and Giants’ tiny flick of red in mind) and white, in that order. That said, Chicago’s teams trend toward red-black-white (Bulls, Blackhawks, White Sox), as do Atlanta’s, since the University of Georgia might as well be a pro team down there to go with the Falcons and the red of the Atlanta Hawks and Braves. Los Angeles is a Lakers town, both in championships and in fan fervor, so that city’s colors indepdendent of team simply have to be yellow and purple. Okay, gold and purple “because there ain’t no yellow in sports”. Dallas does indeed have the silver and blue thing going, and I totally agree that the Dallas Stars need to get on board… and change their name while they’re at it as you suggested so that Minnesota can get their North Stars name back. Finally, living in Pittsburgh, it’s worth noting that even the semi-pro AFL Pittsburgh Power and the womens’ football team the Pittsburgh Passion are black and gold. Other cities might play with those colors. Pittsburgh owns it. Sorry, Boston Bruins. Zaximillian, designing a sports game sounds incredible, I’m glad this post was relevant for you. You’re right about the start of the red/orange and blue trend in NY, especially now that the Brooklyn Nets are over there. And the rangers help too. Because of the Jets, I hadn’t really seen that theme, but you’re totally right. While I was researching Pittsburgh I was impressed with how committed ALL Pittsburgh’s teams are to Black and Yellow, the Power and Passion included. Your city is the prime example right now. Great post, I have often thought about this very same subject. However – and I don’t see how I didn’t notice this before being from the East Bay – Oakland and San Francisco have teams that all depend heavily on their colors for their identities. And they’re all incredibly different. How can you reconcile Green & Gold (the most unique palette in MLB) Silver and Black (one of the unique combinations in the NFL) and the newly-returned-to Royal and Gold of the Warriors (a long time coming & fan favorite). On the SF side we have Orange and Black, which is carried over from NY Giants and not likely to ever change, and Red and Gold – another bizarre combination that is unique across the major sports leagues. If anyone has an idea for a solve I’d be interested in discussing it! It seems like a worst-case scenario in the pursuit of city-specific palettes. Hi Sean, as Bay Area resident I totally agree that the Giants and Athletics have made their colors a large part of who they are – and it’s exactly why the Bay won’t and maybe shouldn’t have a uniform palate. Those teams have such a rich history, as do the Warriors, Raiders and Niners. And the Sharks, while not decades-old, are forever teal, don’t you think? I wonder what their fanbase is like – I would imagine it wouldn’t be too heartbreaking to have a redesign. Maybe it could even be part of a big campaign! And since (again, I imagine…) their fanbase is probably not huge, it’s forgivable that Seattle is the city of green and blue even with an exception like this. GOOD GOD, how did I miss that one? I think I even watched that championship game. Apologies to everyone, especially Sue Bird. Note that one of the endearing traits of collegiate sports is you never have to worry about the University of [State] going somewhere else. Their colors are preserved in century-old ribbons kept in stasis chambers inside historical museums. 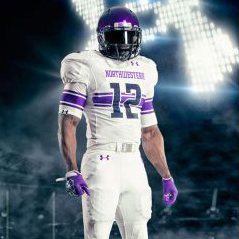 The day the University of Michigan wears anything but Maize and Blue is the day the sun rebrands to neon pink. Often it’s the building, or a team owner across two sports, who specify a color scheme. A group that builds a new multipurpose stadium for the local NHL, NBA and MLS teams can tap into that same loyalty: coming down to Delta Stadium? Wear your Delta Airlines red and blue! I’m glad that more don’t do that. Making distinctions based on the names of the teams doesn’t make much sense to me. Colorado teams ARE Denver teams. 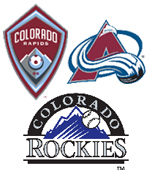 It wouldn’t be blasphemous to suggest that the Nuggets, Broncos, Avs and Rockies share a palette. The former two actually share orange and blue; the Nuggets just make their blue a lighter shade. Newer markets claiming color schemes sounds presumptuous. Tampa Bay the city of navy blue and white? Navy and turquoise, yes, that would be awesome. However cities claiming color schemes that could rightfully be claimed by a much more prominent franchise (in this case the baseball team being in the same division as the Yankees) would make a claim on more classic color schemes just silly. Pittsburgh, remember, had to fight it out with the Bruins (who shouldn’t talk because they were brown for as much of their history as black). The history of certain teams are encoded in their colors, and say more than a single scheme for a city might. The Mets wear the two colors of New York’s and Brooklyn’s lost franchises. The Orioles wouldn’t wear a different color than the plumage of their state bird, however the Ravens can’t be any shade of orange (or brown) as part of their contract when they left Cleveland. Cincy’s Reds are an homage to the first professional baseball team; the Bengals’ helmets are a classic design and should never be changed so long as people can remember Joe Montana passes floating over them. The Cardinals can never change, but the Blues evoke St. Louis’s important role in the history of music. Older markets will settle on one color because there’s far too much history in disparate color schemes. Imagine the Dodgers in any color but “Dodger blue,” or the Lakers in anything but purple and gold. Imagine the Detroit Red Wings in Tiger whites, the Tigers in Honolulu Blue, the Lions in Pistons flag colors, or the Pistons joining the already far too large ranks of red and white basketball teams? Detroit, my hometown, is in many ways the anti-Pittsburgh: we have a tradition of different color schemes (the two big colleges are the aforementioned maize and blue, and green and white) but those uniforms are infused with tradition. Michigan, the Red Wings and the Tigers regularly make whatever lists of best uniforms. When one team or another is rising to prominence, there’s a sea change of color across the metro area. So what Detroit lacks in the (enviable) city unity of one color, it gains by the effect of such dramatic color shifts. We had a week not too long ago where on Monday and Tuesday it was all blue and silver for the Lions on Monday Night Football. Wednesday everyone wore red for the start of the Red Wings season. Then on Thursday and Friday the city was blue and white (and bits of orange) as the Tigers beat the Yankees in the ALDS. On Saturday all of a sudden we were split into Maize&Blue or Green&White for the annual in-state rivalry game. And come Sunday it was back to silver and blue. If you think about it, if such a week happened in Pittsburgh, only the weekend shift to Navy and White or Navy and Gold might alert you to the shifting attentions of so much excitement. I think the Pittsburgh color coordination is something to be proud of. I think other cities in the right position to do so could emulate it. I agree that Cleveland blows and that all Ohio teams are ugly and stupidly named and colored, and should lose every game in everything always. Some younger sports towns might do well to adopt it (Seattle’s rainy colors fit them perfectly) but let’s not take it too far. These are all great comments, and do color (ahem) my decision making process. Any further suggestions would be appreciated. First off, great blog. When you mentioned San Diego having “similar” colors, I had to really think on it because I don’t think the Padres brownish-khaki (or whatever) is comparable to the Chargers’ yellow. Another interesting thing I read was that San Diego didn’t have enough teams to continue the City Colors trend, which I would love to see San Diego adopt light blue and yellow. The more realistic aim would have to be just any blue and yellow(ish goldish). One of the other, somewhat minor teams would be these two soccer teams (sportslogos.net/logos/list_by_team/1396/San_Diego_Jaws/ ) (sportslogos.net/logos/list_by_team/1394/San_Diego_Sockers/). Another one that may be of interest, even though it isn’t really a sports team, would be the Del Mar Racetrack. Growing up here in San Diego I am all too familiar with the commercials they’ve played on TV showing it through the decades with the colors light blue and yellow remaining a big part of it. Also, the colors for USD are Navy, light blue and white, which may or may not be seen as reinforcing the blue/light blue colors as being part of San Diego. Seaworld is also known for its yellow and (obviously) dominantly blue theme/logo (seaworldparks.com/en/seaworld-sandiego). I would also love to add Belmont Park just to strengthen my theory, but I think that would be nitpicking (if I haven’t done so already… you be the judge.) since only the logo uses the blue and yellow colors. I have always felt (powder) blue and yellow could easily be San Diego’s colors, but it seems that many people don’t bother to realize this despite it being under their noses! I have always felt this way about the colors and would love for it to be officially and fully embraced by the city and countys’ residents. I’m glad to have come across this blog because it’s something I’ve always thought about I needed to get it off my chest to someone who might understand where these ideas are coming from. I fully understand that some things will never conform to this possible standard (SDSU and the Padres for example. ), but I hope this can come to become San Diego’s identity in terms of colors. I couldn’t find one of the newer commercials that put more emphasis on the colors, but I hope this one proves some point. WOW! So much hate toward Cleveland. It really reduces your credibility as an author to unnecessarily attack a city, but that should be expected from Pittsburgh/Detroit people. I agree that something needs to be done about the Indians. 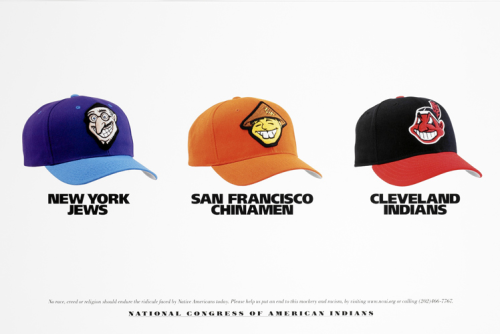 They could argue the redefinition of ‘indians’ from ‘native americans’ to ‘natives’ by getting rid of chief wahoo and acknowledging India. I think they should just change the name to the Cleveland Tribe, a name that could unite people in the city even more that Indians. I’m not sure how the name Washington Redskins isn’t worse than the Indians name. Imagine a team called the Yellowskins or Blackskins. The Cincinatti Reds were able to change from the Redskins many years ago. I don’t care to much for baseball. The Cleveland Cavaliers colors of Wine and Gold are much more historic than lebron. He has no influence on the colors of a team from Cleveland; he is from Akron (y’all city haters call it Crackron). You have no legit argument against the Browns, I enjoy a unique color combo. While I do think it’s pretty cool that all Pittsburgh teams are black and yellow, I would also note that that seems to be one of the most common color combos for sports teams. Especially if you include high schools. So black and yellow isn’t that specific to Pitt. The detroit poster that hates all Ohio team names probably forgot about the Blue Jackets, probably one the best team names in sports. It speaks towards our history of fighting to preserve the United States of America, which is much better than a shoe company. The Dallas Stars would have a hard time changing their colors, it is too historic for the NHL. It would be more likely for them to move back to Minnesota. Pittsburgh seems to be a cool city when I hang out there until it is known I’m Cleveland and I meet a stubborn person that wants to one sided argue against Cleveland all night at a musical concert, which happens almost every time I visit pitt. This is why Detroit and Pittsburgh continue to be the most hated towns in Cleveland, you attack the stupid little things and cannot tolerate people from outside your city. Pitt/Det are the reasons why the Rust Belt is still looked at in a negative light. I live in Denver. I’m also a brand designer. I like the notion of matching colors in cities, but in Colorado you’ll never get the Broncos to change from their blue and orange. The Denver Nuggets did just changed their uniforms back to a blue and gold and burgundy, so getting closer. i think that’s bc the Avs and Nuggets and Rapids are all owned by the same company Kroenke Sports. But the Rockies are black and purple because of the song America the Beautiful. So there is concept there and blue and burgundy don’t make sense for them.